Let’s continue with Authorization topic. We discussed about the Authorization Process and its main components such as WebLogic Security Framework and Security Provider. Now, we look at Security Provider’s subcomponents: Role Mapping and Security Policies. The Role Mapping: Is access allowed? Role Mapping providers help to clear, weather a user has the adequate role to access a resource? The Authorization provider can with this role information answer the „is access allowed?“ question for WebLogic resources. Role mapping is the process whereby principals are dynamically mapped to security roles at runtime. The WebLogic Security Framework sends Request Parameter to specific Role Mapping provider that is configured for a security realm as a part of an authorization decision. Figure 1 Role Mapping Process presents how the Role Mapping providers interact with the WebLogic Security Framework to create dynamic role associations. The result is a set of roles that apply to the principals stored in a subject at a given moment. The request parameters are including information such as the subject of the request and the WebLogic resource being requested. Role Mapping provider contains a list of the roles. For instance, if a security policy specifies that the requestor is permitted to a particular role, the role is added to the list of roles that are applicable to the subject. As response, get WebLogic Security Framework the list of roles. These roles can then be used to make authorization decisions for protected WebLogic resources, as well as for resource container and application code. I’m going to discuss about that in part 9. 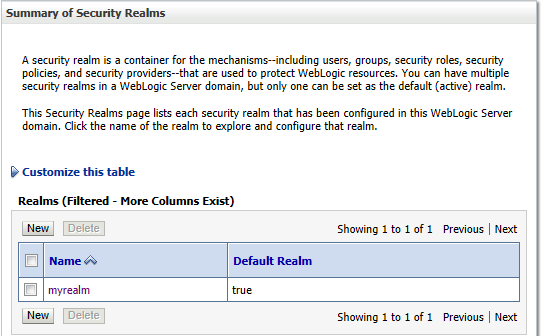 In the left pane, select Security Realms and click the name of the realm you are configuring. Click New. The Create a New Role Mapping Provider page appears. In the Name field, enter a name for the Role Mapping provider. From the Type drop-down list, select the type of the Role Mapping provider (e.g. DefaultRoleMapper or XACMLRoleMapper) and click OK. 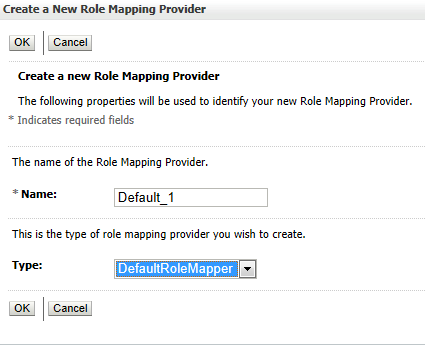 Select Providers > Role Mapping and click the name of the new Role Mapping provider to complete its configuration. Optionally, under Configuration > Provider Specific, set Role Deployment Enabled if you want to store security roles that are created when you deploy a Web application or an Enterprise JavaBean (EJB) (See Figure 8 Role Mapping Configuration). In the Change Center, click Activate Changes and then restart WebLogic Server. 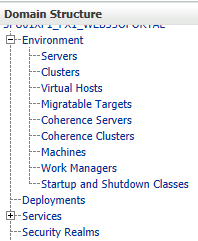 Name: The name of your WebLogic XACML Role Mapping Provider. Description: The description of your Weblogic XACML Role Mapping Provider. 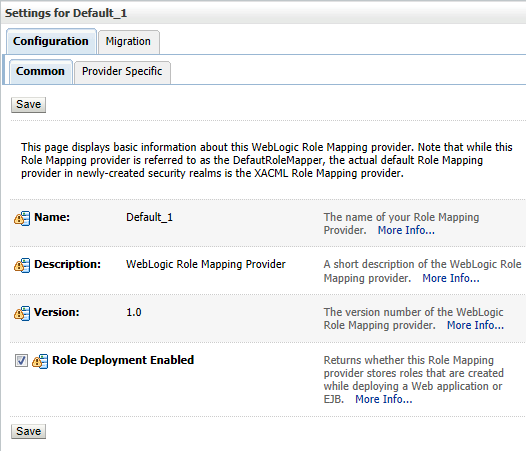 Version: The version of your Weblogic XACML Role Mapping Provider. Role Deployment Enabled: Returns whether this Role Mapping provider stores roles that are created while deploying a Web application or EJB. DOAG 2014 Konferenz: IT-Sicherheit und OFM: Eine Herkulesaufgabe? IT-Security (Part 1): WebLogic Server and Oracle Platform Security Services (OPSS) – Mohammad Esad-Djou bei Did you forget your WebLogic Server password? No problem!